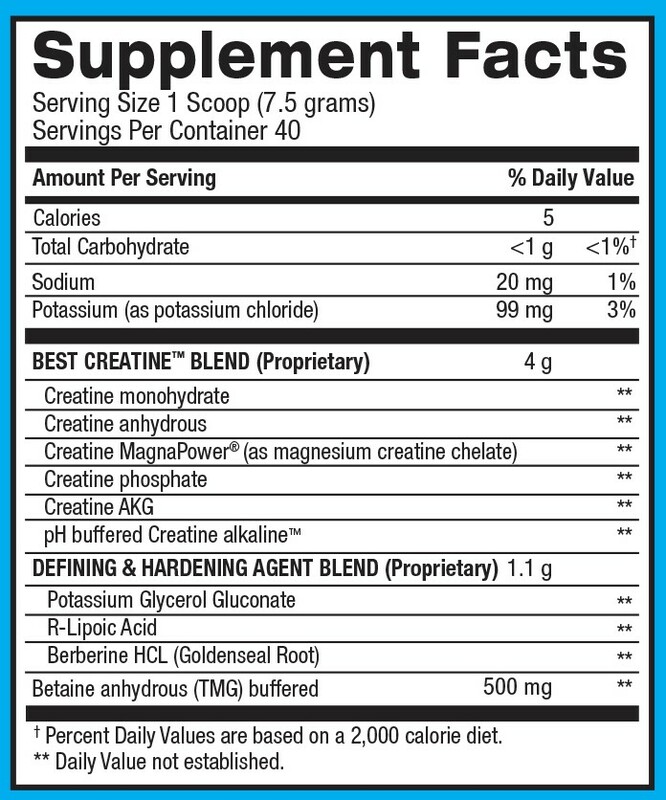 This advanced, all-in-one creatine formula helps promote lean, hard muscle gains, fullness and definition while also boosting athletic performance. MUSCLE BUILDING - By pushing nutrients into the muscles, you will feel and see an increase in cellular volumization, giving you a full, dry, hardened look instead of looking “flat” and “depleted”. STRENGTH BUILDING - Betaine anhydrous is added to help you boost strength, power and performance in the gym. ENERGY - First-ever creatine-based product with an added blend of nutrient partitioning agents to help push nutrients into the muscle to be burned as cellular energy.